Audio/Video Adapters, Cables, Converters and more. CableWholesale has everything you need to rig up your recording studio, home theater, or gaming setup. Our selection of audio and video cables, adapters, connectors, and other components are ideal for cabling your computer, home theater, stereo, television, game consoles, and other devices. Our wholesale audio cables also include cables for mics, guitars, speakers, and more. Each of our adapters and cables come backed by a lifetime warranty. 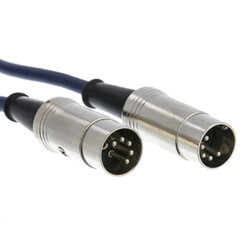 Shop wholesale audio cables including traditional 3.5mm, camcorder, and mono cables for total versatility when using your 3.5mm jacks or another common A/V port or connector. We also carry premium component video cable to maximize picture quality with RGB (red, green, and blue) signals and digital audio cables for all your devices that support digital audio via an RCA jack or interface. Audiophiles and musicians will appreciate our huge selection of guitar, microphone, and MIDI cables. Are you a gamer? Our gaming cables deliver a clearer picture than the standard component that comes in the box. To get the most out of your cables and devices, check out our huge selection of audio and video cable adapters and converters. We’ve got A/V baluns for simplifying video transmission, audio/video switches, and digital converters that are useful in a wide range of A/V applications. It doesn’t matter if you’re looking for something super-specific or if you just want to explore a selection of top-quality components at affordable prices, you’ll find the audio and video cables you’re looking for at CableWholesale.